You're a genius if you can get 15/15! An amendment is a _____. Which of the following locations currently has "non-voting members" in Congress? When did Martin Luther King, Jr. give the "I Have a Dream" Speech? What are the first ten amendments to the Constitution? What is the 50th and most recent state of the U.S.? What was the name of the ship that brought the Pilgrims to New England in 1620? Who is the Commander-in-Chief of the Armed Forces? Who was the 2nd President of the U.S.? Which document declared that "all persons held as slaves... shall be free." Who said: "...ask not what your country can do for you, ask what you can do for your country." You are passionate about knowledge and history. You make connections between past and present, and always raise the intellectual bar. Keep it up! YOU TOTALLY FAILED THIS ONE! 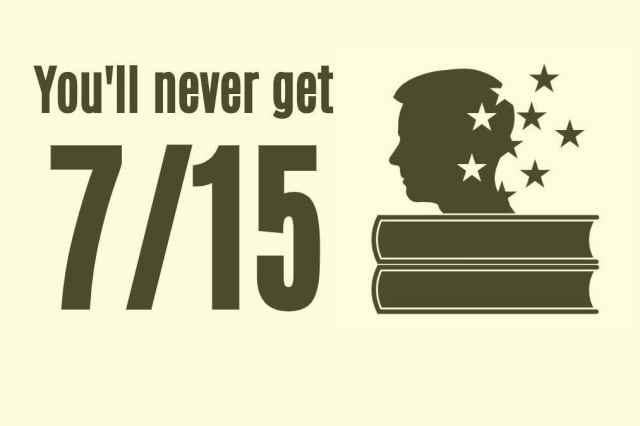 No worries… most people can’t get more than 7/15. You must be an abstract thinker. Are we spot-on? ?